D please email lora at onecrazystamper dot com to claim your prize. 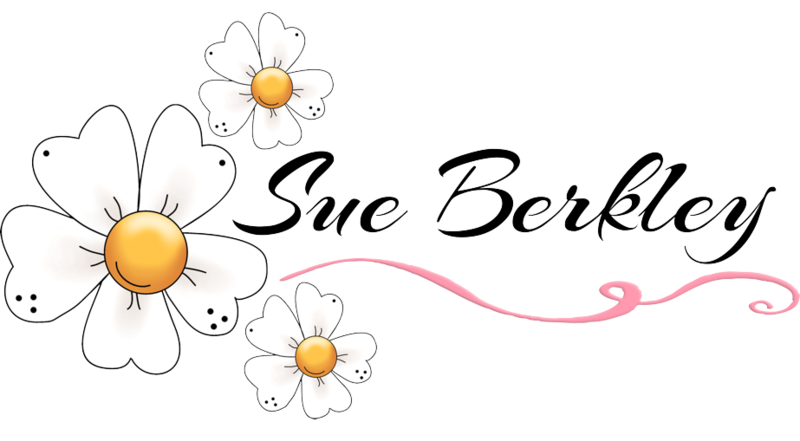 It's Saturday so that means you get to see what I have created for this week's blog post! 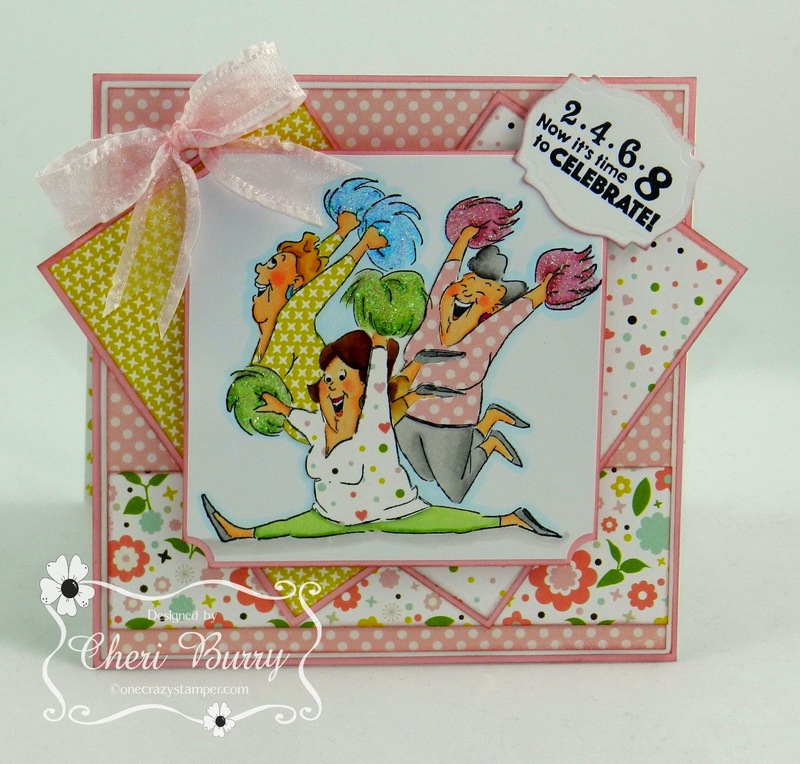 This week I am using the Art Impressions new Girlfriend Cheer Set! I am in love with all the Girlfriends from Ai. They always make me giggle and put a smile on my face! For this card I paper pieced all the girl's tops with paper from the Echo Park Bundle Of Joy- New Addition 6x6 designer paper pad. 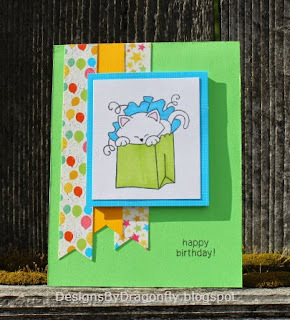 I used my concave corner punch on my stamped image and layered cardstock. 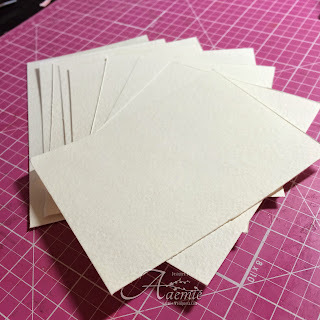 I also inked the edges of all the papers with Tim Holtz Distress Ink in Victorian Velvet. I love this technique as it helps to make your paper pop! On the pom poms I added Crystal Stickles for some added interest. 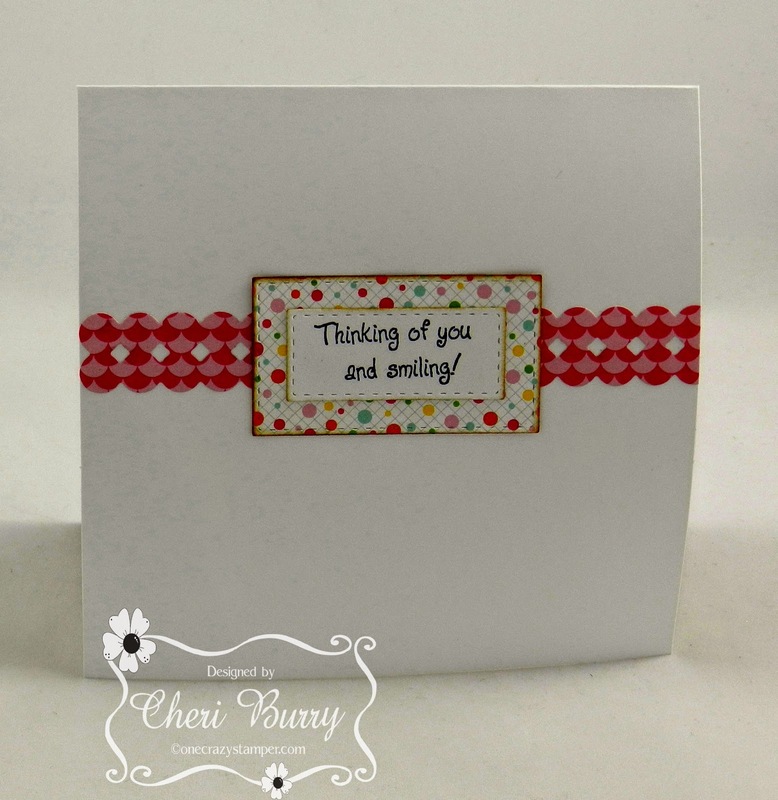 I always like to add some sort of die cuts as well as a sentiment on the inside of my cards. It just makes me feel like the project is complete! 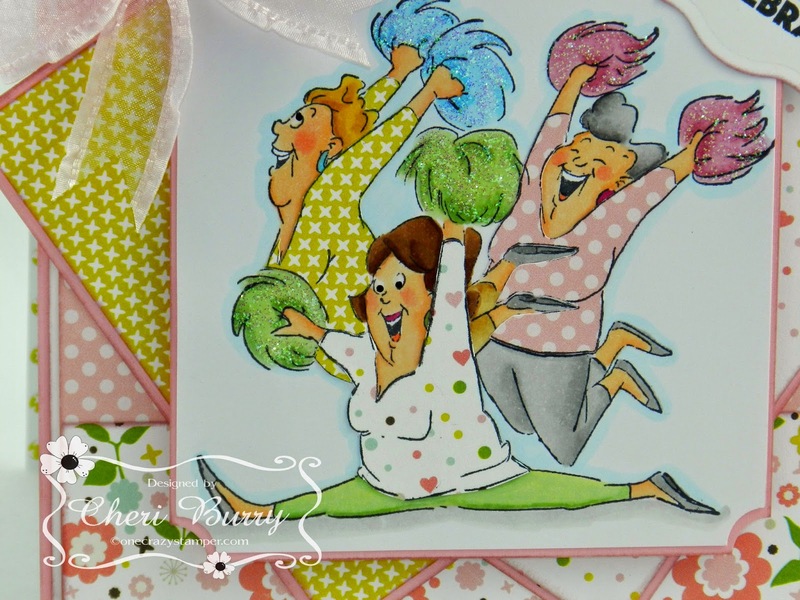 This Cheer set comes with 3 sentiments and I used them all on this project. I hope you have a wonderful weekend! See you next week. 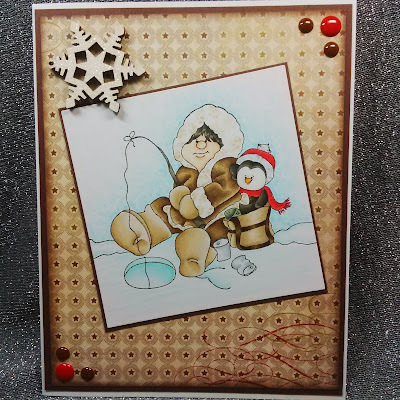 I hope that you enjoyed today`s card, remember that it is never to early to start your Winter and Holiday card! 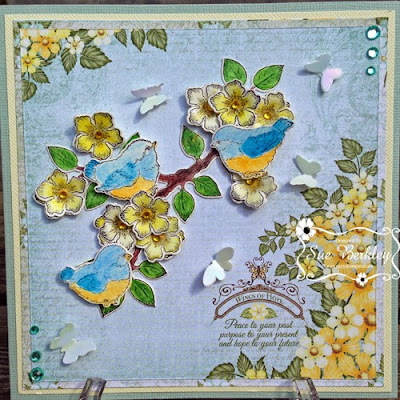 Hi there, Its Nat here and I'm back with one more fun scene using Your Next Stamp Perfect Chemistry Die YSND192 and Stamp CYNS164 set. I actually brought this stamp set into work and asked the Gals for their suggestions. I have to say they had some great ideas and I think we all had fun dreaming up different scenes. So compliments of my Co-Worker (Miss Fiona) and her fun imagination I created this Mad Scientist/Back to the Future type character playing in the rain! Thanks for peeking in, I hope you get your imagination working with this fun set! Coloured with Copics and Airbrushed Background using ..
For my post today, I have used the Birds & Blooms, Leafy Branches stamps and co-ordinating dies both from Heartfelt Creations. I used this specific piece of design paper for the wording on it. It is the Butterfly Medley Collection also from Heartfelt Creations. I added the small double dot jewels to the centers of the flowers. There are still a few more days to enter this month's challenge. For any supplies that you might need check out both Lora's OCS online and brick & mortar stores. Both the products and prices are amazing. Until next time, happy crafting and enjoy the time with your families. Hey there my fellow crafty peeps, I've got a neat tutorial to show you today. 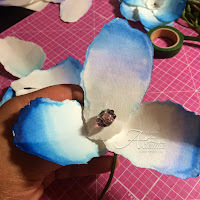 I'll be making a paper flower out of watercolour paper and then I have a little video to show you how to do an ombre look on the petals. 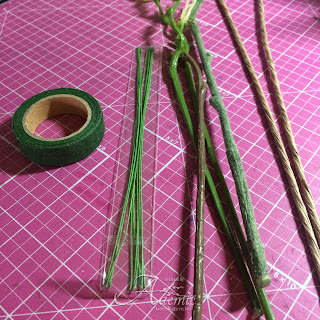 These are some supplies I'll be using, a glue gun would work great(but I don't have one...I know, I know I can't believe it either). 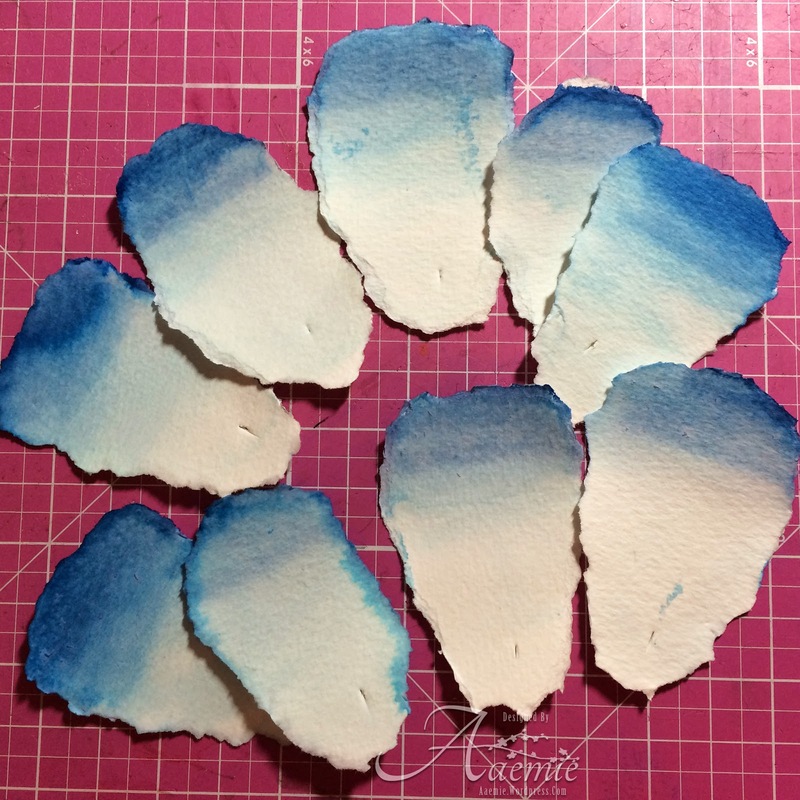 4''x3'' pieces of coldpress watercolour paper. This is how I created the ombre look for the petals. You'll need to make large enough slits in the petals so the stem can fit through. 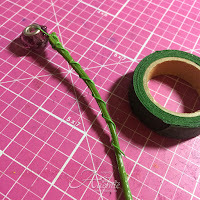 I used flower stem tape, wire stems and some stems I had from a faux flower bouquet. Or if you have the ones on the far left, they are awesome too. 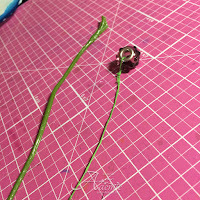 I hooked the wire through the trinket and twisted the end to secure it, then I twisted the wire around the stem. 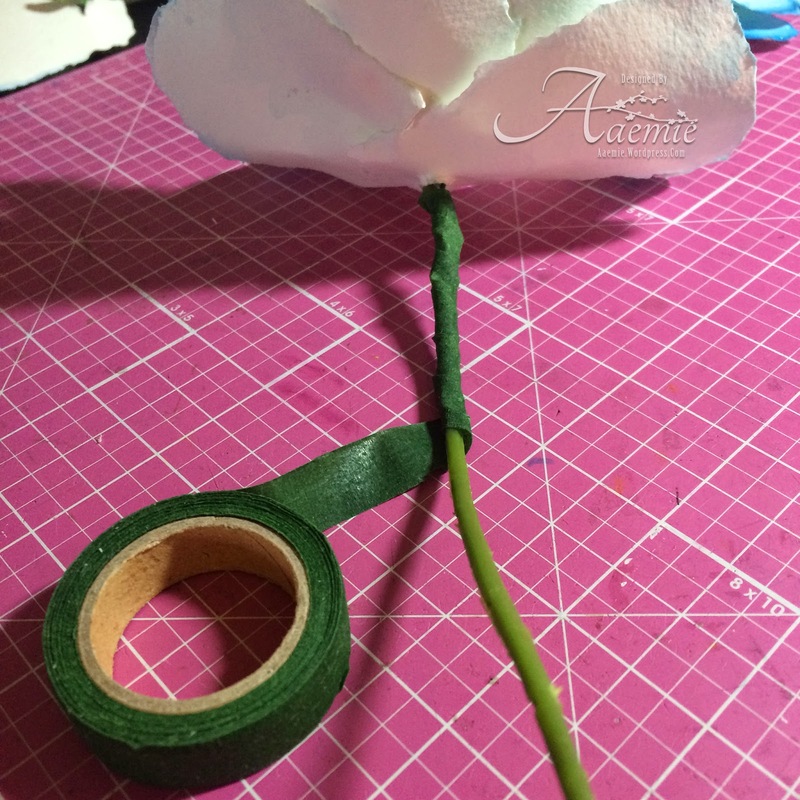 To get a realistic looking petal, bend and roll it around a bit and it will to give them their lovely shape. After the first three petals are in position, add glue to secure and continue adding more petals in a staggered pattern. 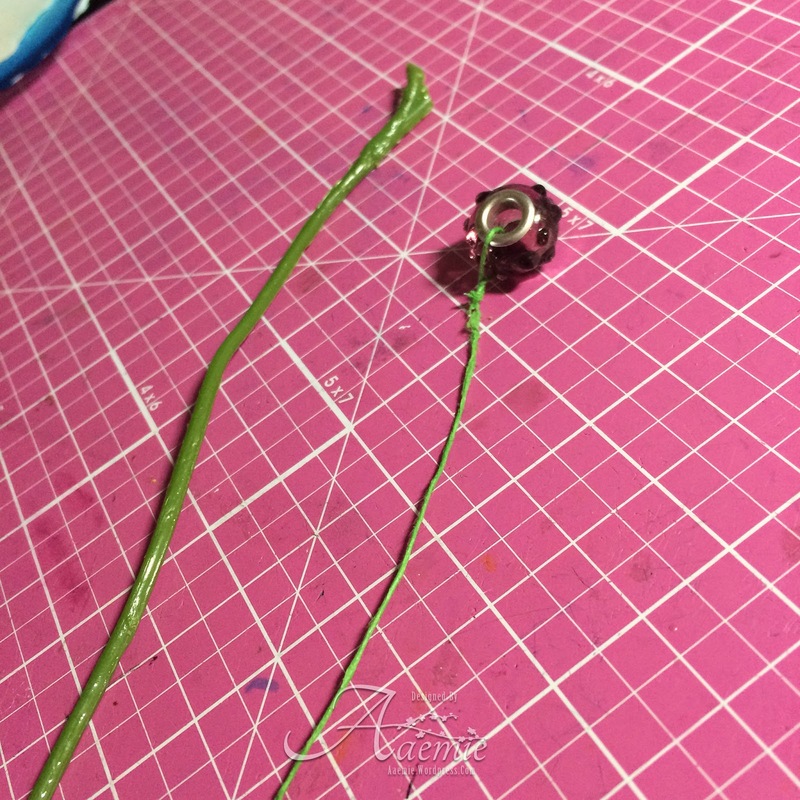 Once your flower is complete, wrap the stem with some stem tape for a finished look. 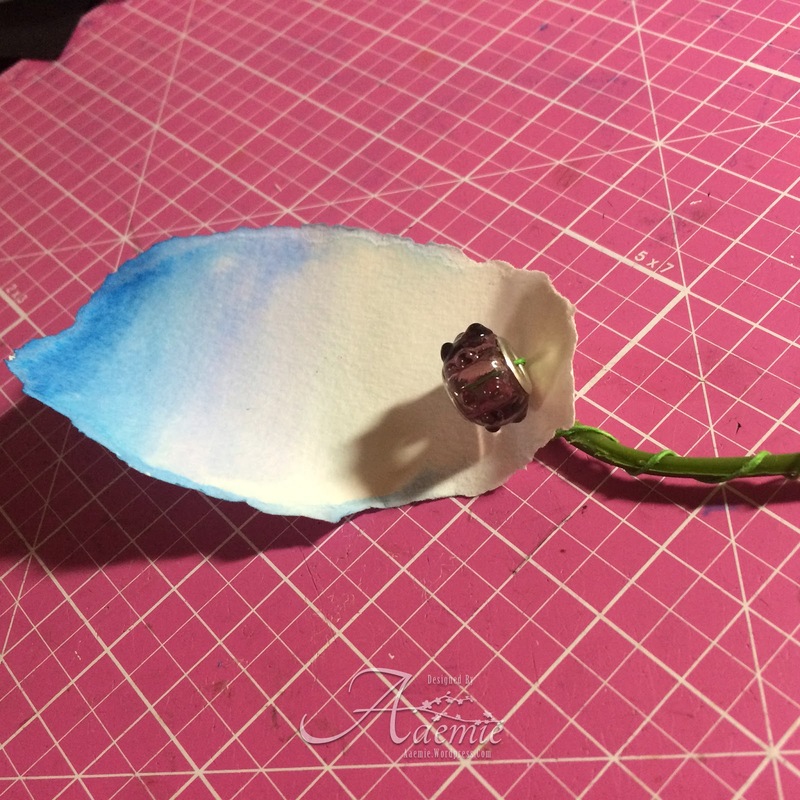 The result...a beautiful paper flower! 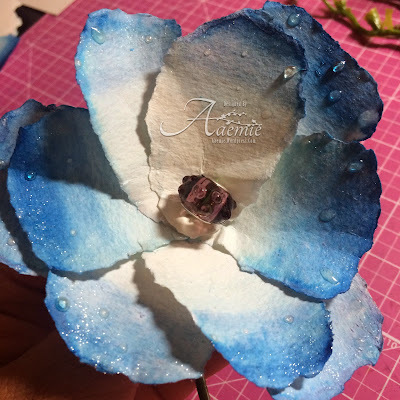 Hope you enjoyed my tutorial, have a super awesome crafty day! 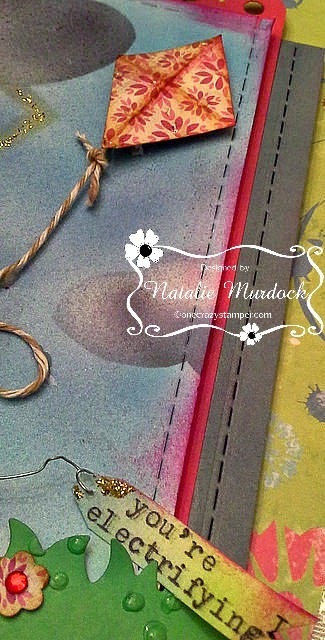 Thanks friends for stopping, wow what a wonderful month full of great creations. 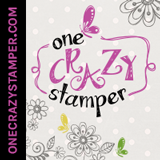 I am talking about the challenge here at One Crazy Stamper. You still have a little bit more time to enter your project. Share the love with the talent design team as well. 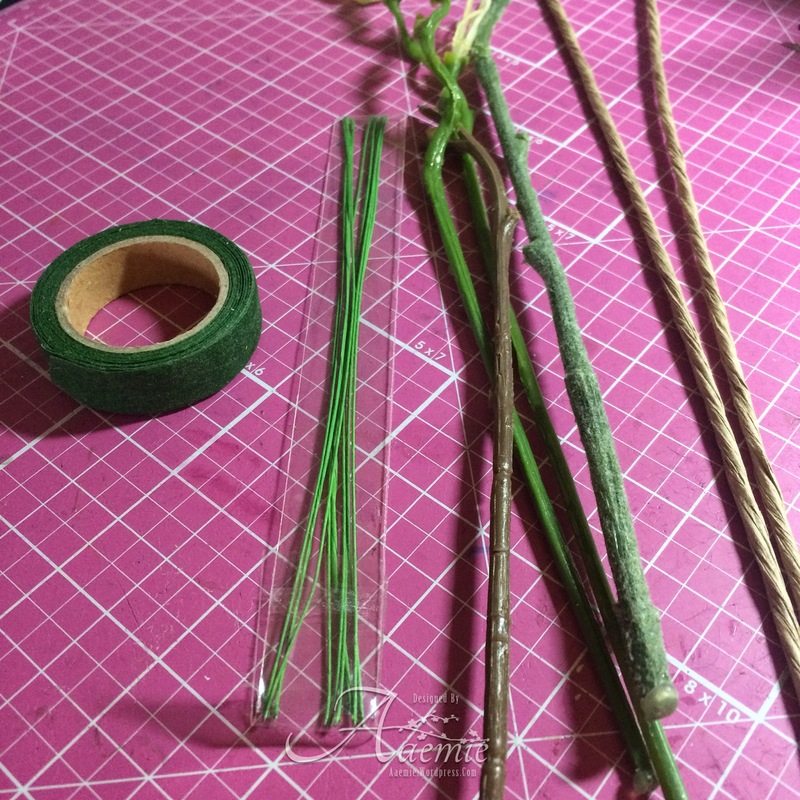 Lora has a great array of supplies in her store so make sure you pop on over there as well. 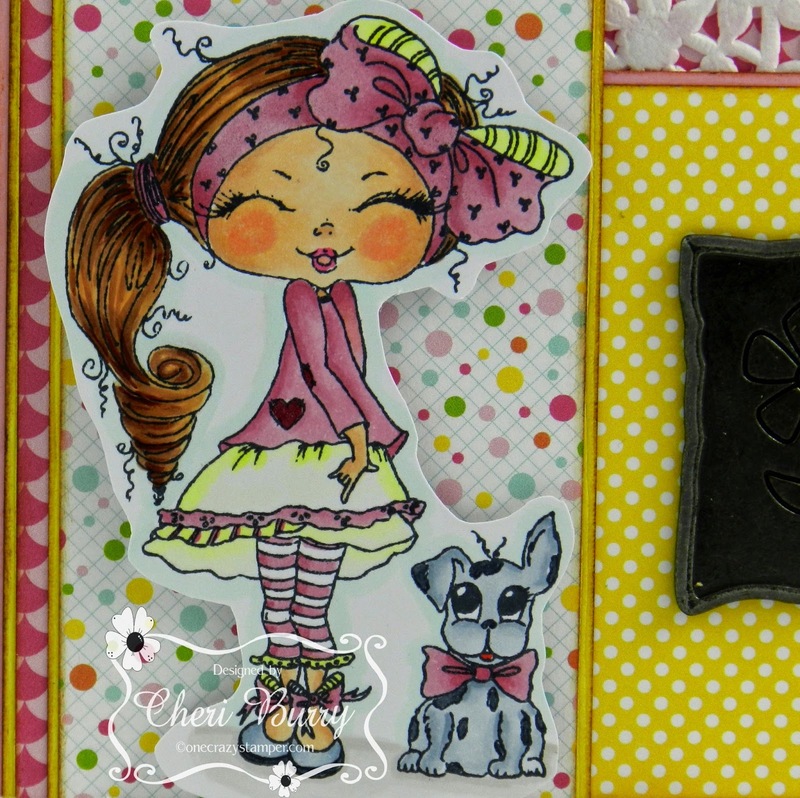 For my card today, I am using the super cute stamp from Little Miss Muffet, called Polka Dots Pals Daisy. I had so much fun with this card. 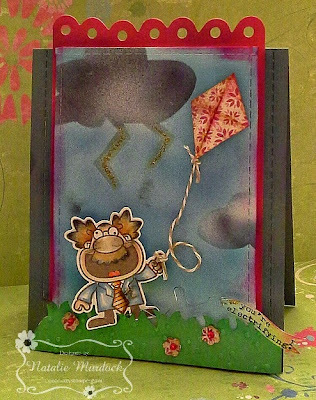 Adding extra balloons and a gift bag as well using this fun paper from Taylored Expressions Double the Fun, my friend gave me, so bright and fun. 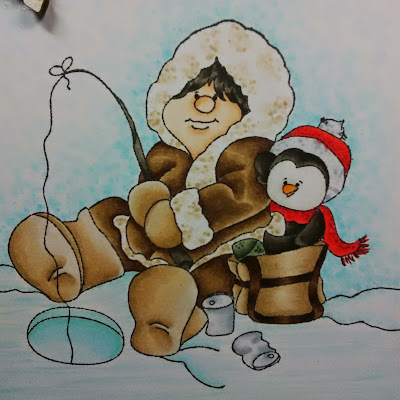 I colored my little friend using Copic Markers-C2, C4, C5, C10, YG05, YG25, BV17, BV08, BV13, Y08, RV91, RV93, RV17, RV19, E50, E53, E43, E41, E40, 0. Look forward to seeing your creations here at One Crazy Stamper, till next happy crafting. Look at this super cute My Bestie called Fancy Pants Fabby! I just want to squeeze her little cheeks! And her puppy..... pure cuteness! What an adorable stamp set! 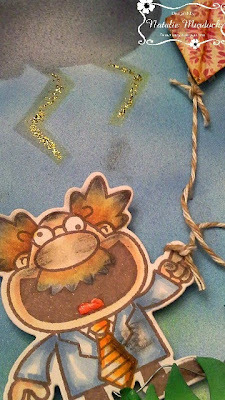 I stamped and coloured up Fabby with my Copic markers and then fussy cut out the image. 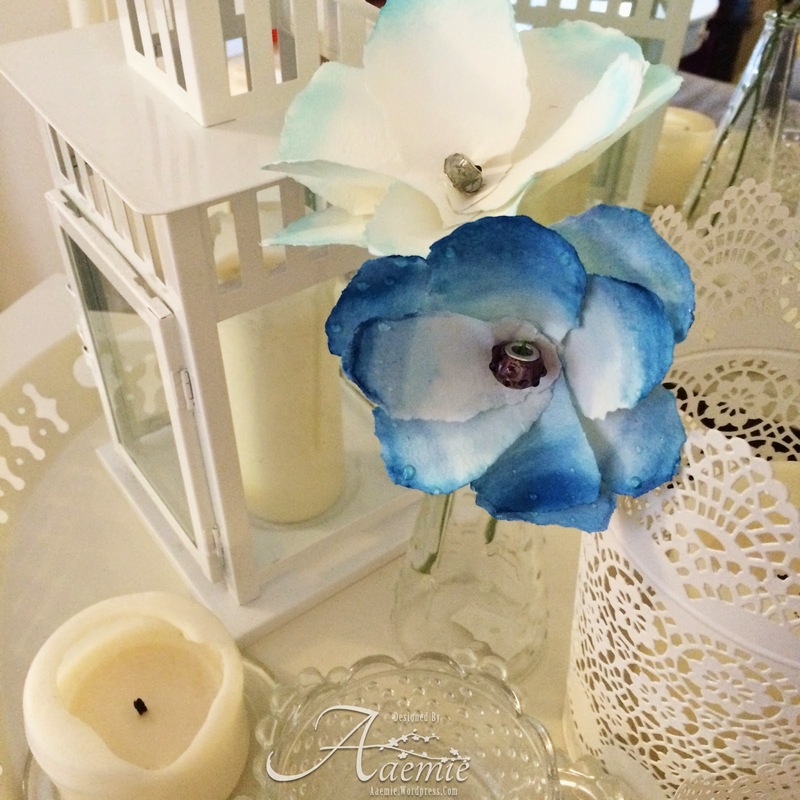 I added a doily, metal embellishment and some lace with ribbon threaded through on top of my design paper that is layered with matching cardstock. 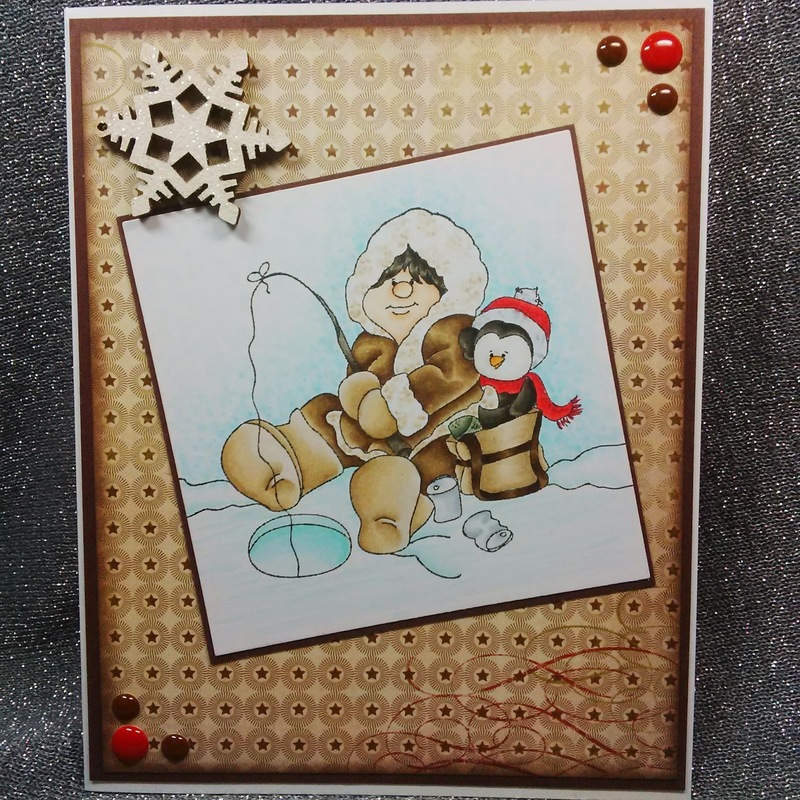 I also inked all the edges of my paper and doily with Tim Holtz Distress ink in Vintage Photo to add some dimension to my card. 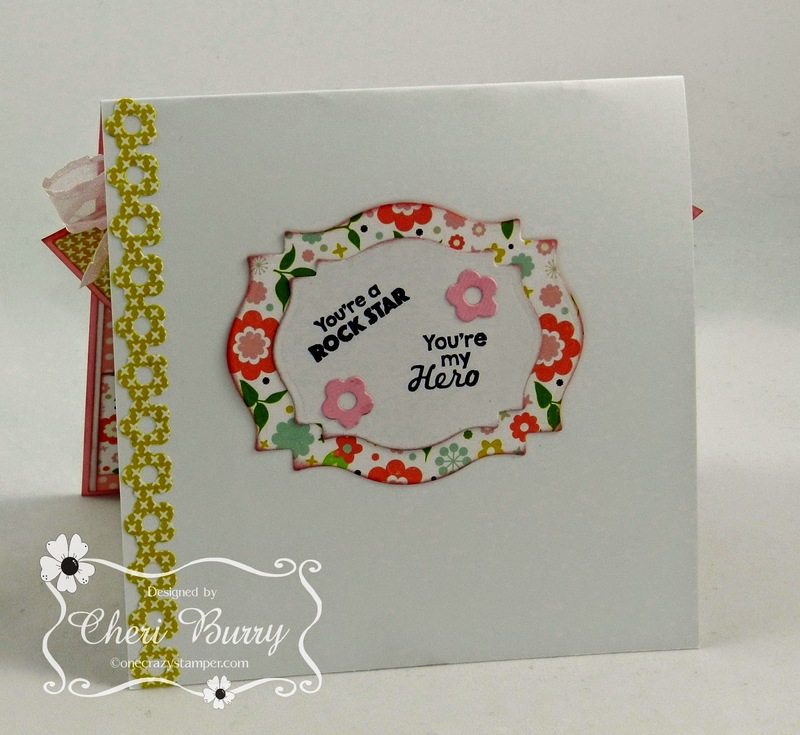 I used the High Hopes sentiment stamp "Smiling" (#H262) on the inside of my cards as well as a MFT mini double dot border die cut. It's hard to see but Fabby's bows, leggings and puppy's bow all have clear glitter Wink of Stella added to them. You still have time to enter into our May Challenge "Anything Goes". 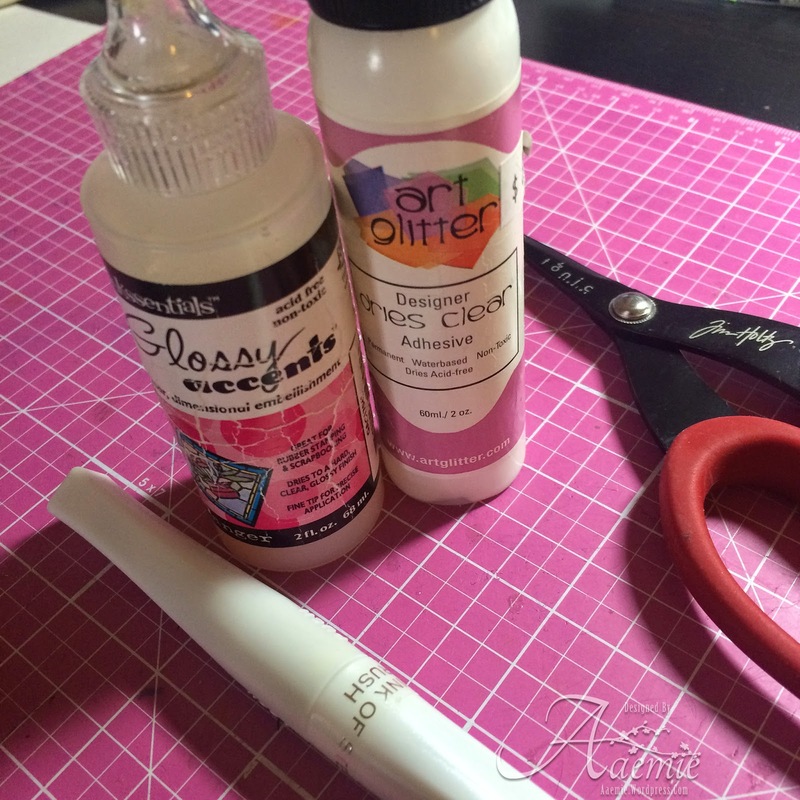 The weekend is the perfect time to get crafty, so I'll look forward to seeing what you enter! It's all about the Chemistry! Take Time To Play In The Puddles!